Due to broad weakness in the New Zealand Dollar (NZD) last week, the Pound Sterling to New Zealand Dollar (GBP/NZD) exchange rate’s losses were limited despite broad Brexit uncertainty weighing heavily on the Pound (GBP). After opening last week at the level of 1.9362, GBP/NZD spent most of the week higher as Reserve Bank of New Zealand (RBNZ) interest rate cut bets weighed on the ‘Kiwi’. Despite briefly touching a high of 1.9435, GBP/NZD tumbled towards the end of Friday’s session as the latest US confidence data fell short of expectations and Chinese trade data impressed, leaving investors more willing to take risks. GBP/NZD ended up closing the week near the level of 1.9338, but so far this week has been edging higher as New Zealand Dollar weakness persists. At the time of writing on Monday morning, GBP/NZD was trending close to the level of 1.9360. The Pound’s volatility dampened last week, as the UK and EU finally agreed to a longer-term Brexit delay following weeks of political chaos and uncertainty. A no-deal Brexit has been taken off the table for at least six months, but this also means a longer period of uncertainty for UK businesses. Analysts predict that the longer Brexit extension means that a quick resolution to Brexit is less likely. This uncertainty left the Pound unappealing, but hopes that a softer resolution is still possible left the Pound more appealing when markets opened this week. Prime Minister Theresa May is holding talks with opposition Leader Jeremy Corbyn in hopes that a cross-party compromise can be reached that will help Brexit to pass through Parliament. Over the weekend, officials expressed optimism that progress was being made in talks. While analysts are uncertain that the talks will lead to anything concrete or will conclude any time soon, this speculation supported the Pound this morning. After a brief surge in demand for risky trade-correlated currencies at the end of last week, investors sold them from their weekend highs when markets opened on Monday. 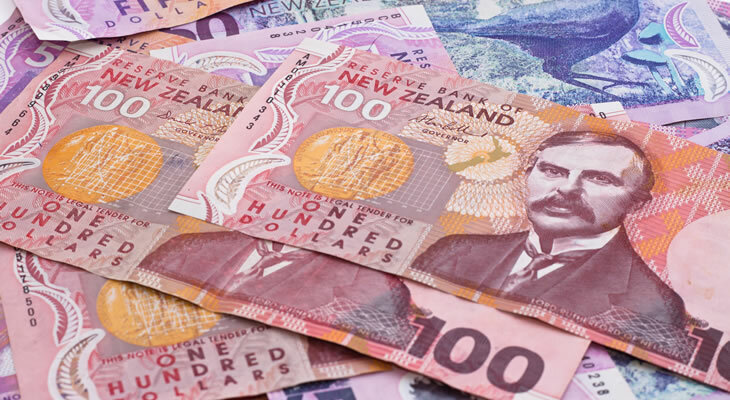 Despite market bets that the Reserve Bank of New Zealand (RBNZ) would likely cut New Zealand interest rates within the near to mid-term future, the New Zealand Dollar still enjoyed a late-week jump in demand on Friday. Investors found risky trade-correlated currencies much more appealing, as China’s March exports report came in almost twice as strong as forecast, with a result of 14.2%. It was followed in the afternoon by some disappointing US consumer confidence data, which further bolstered risk-sentiment. Still, investors remain fairly bearish on New Zealand’s economic outlook overall, due to a lack of strong New Zealand data and RBNZ interest rate cut bets. This made it easier for GBP/NZD to rebound slightly this morning. Volatility in the Pound to New Zealand Dollar (GBP/NZD) exchange rate has lightened and investors don’t expect much in the way of major Brexit developments this week, leaving upcoming data in focus. Pound investors looking for signs of resilience in Britain’s economy ahead of months more Brexit uncertainty will be closely watching tomorrow’s UK job market results. British inflation data will follow on Wednesday, with retail sales figures due on Thursday. If they make investors more confident that Britain’s economy has been resilient, the Pound could see stronger support this week. However, New Zealand’s upcoming data is likely to be even more influential and could influence Reserve Bank of New Zealand (RBNZ) interest rate cut bets and the NZD outlook if they impress. Wednesday’s Asian session will see the publication of New Zealand’s Q1 inflation rate results, which are expected to show that yearly inflation slowed slightly in the first quarter of the year. If New Zealand inflation is stronger than expected, investors may become more hopeful that the RBNZ may not need to cut New Zealand interest rates. This would bolster the New Zealand Dollar outlook and leave the Pound to New Zealand Dollar exchange rate weaker.